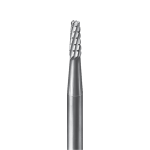 This is a Busch carbide left spiral cone, milling cutter. 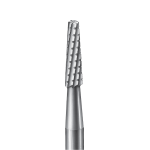 The 408 and 410 Carbide Cutters for milling techniques are now available in two different cuts. 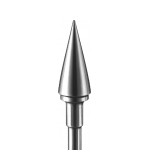 The "H" series are furnished with background chamfer to assure accurate tool guidance and a very smooth surface.